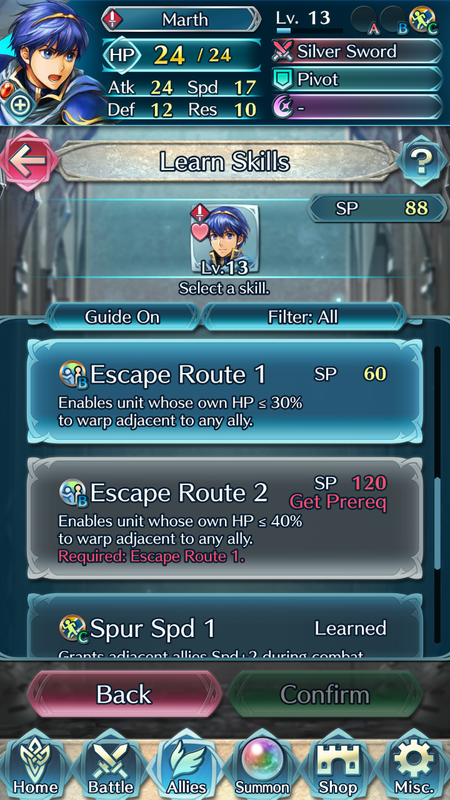 In order to gain Skills for your heroes, you will need to earn Skill Points (SP). 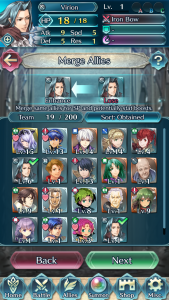 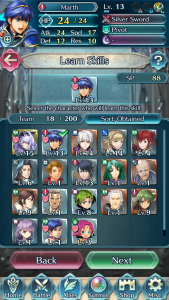 Each hero has their own individual pool of SP, and they can be gained a number of way during missions. 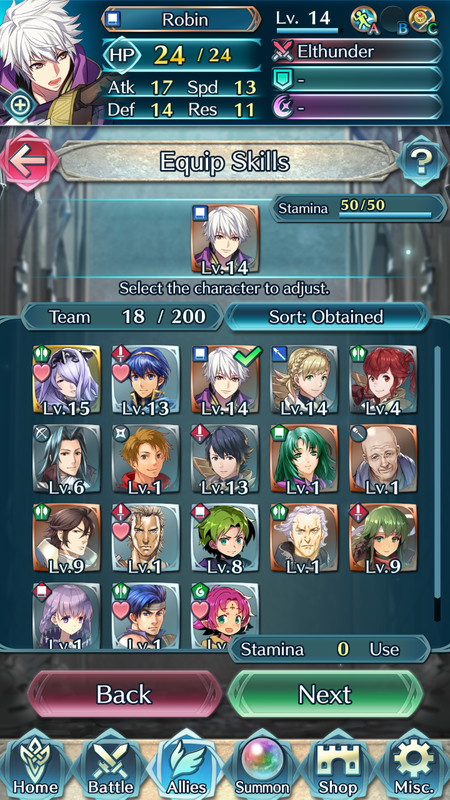 Each time your hero gains a level, they will earn SP in addition to regular stat growths. 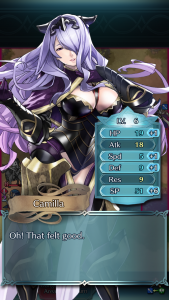 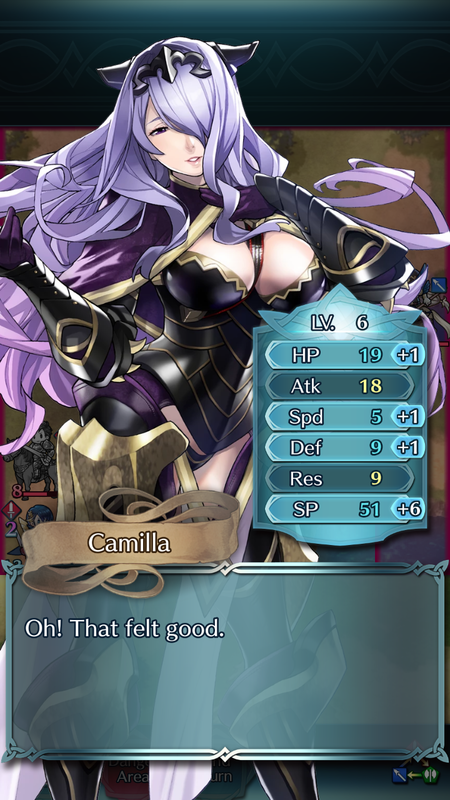 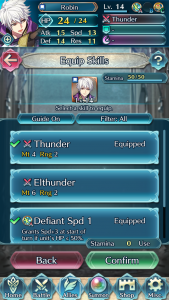 Sometimes when your hero makes a successful attack, they will gain SP points even if they did not gain enough experience for a full level up. 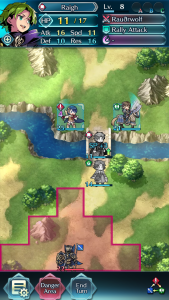 This will show on the map as a blue text pop-up over the hero after they have gained their exp for the battle. 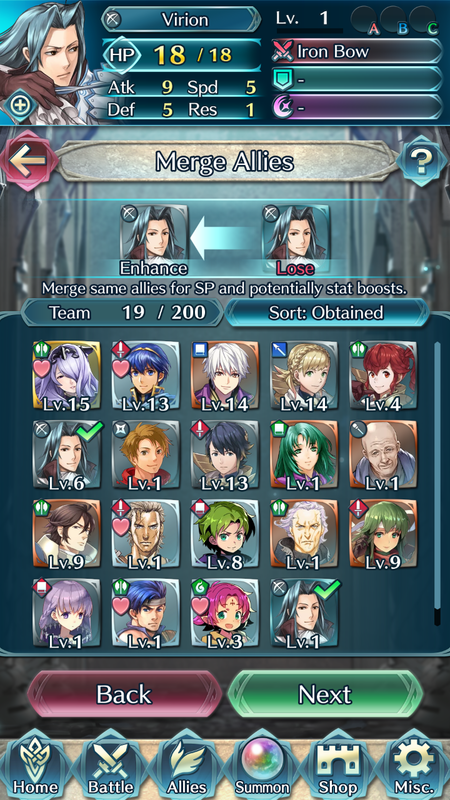 Under the Advanced Growth screen of the Allies menu, you have the option to merge two allies with the same name and title. 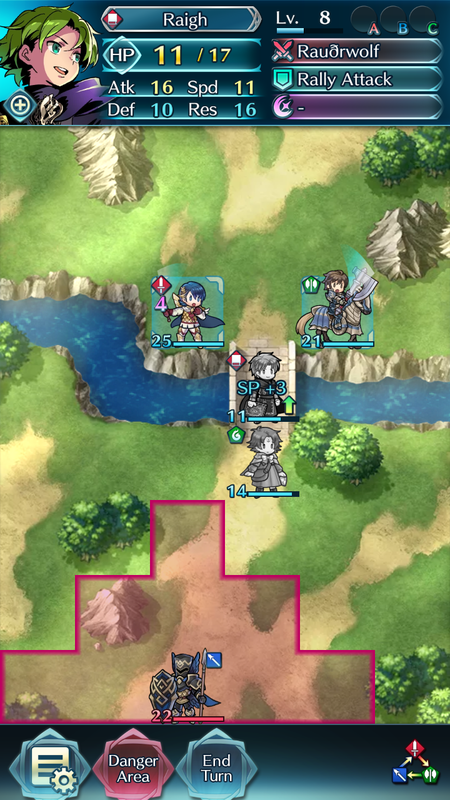 The source ally is lost in the process. 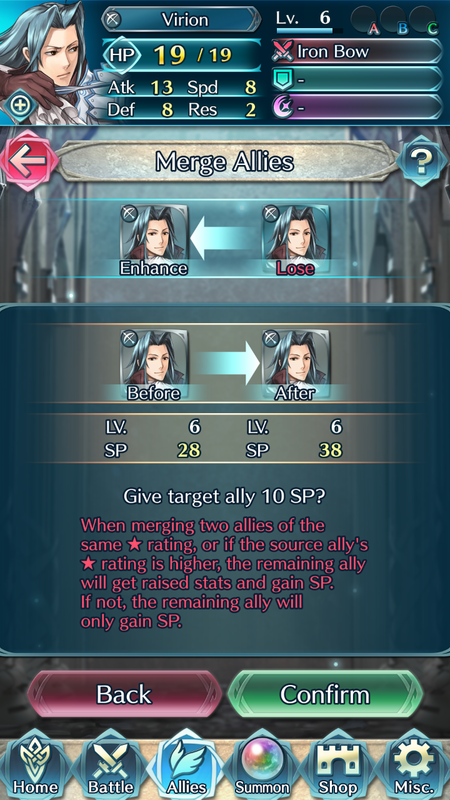 If the allies have the same ★ rating of the source ally’s ★ rating is higher, the remaining ally will get raised stats and gain SP. 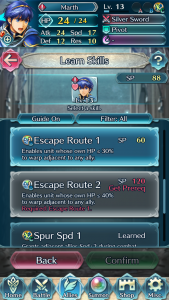 If not, the remaining ally will only gain SP. 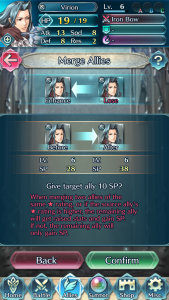 The amount of SP gained by the remaining ally depends on the ★ rating of the source ally. 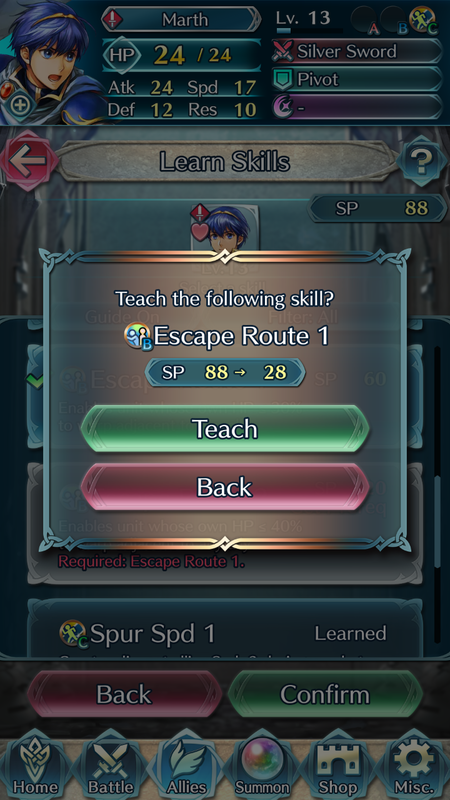 Once your hero has gained enough SP, you can begin teaching them skills. 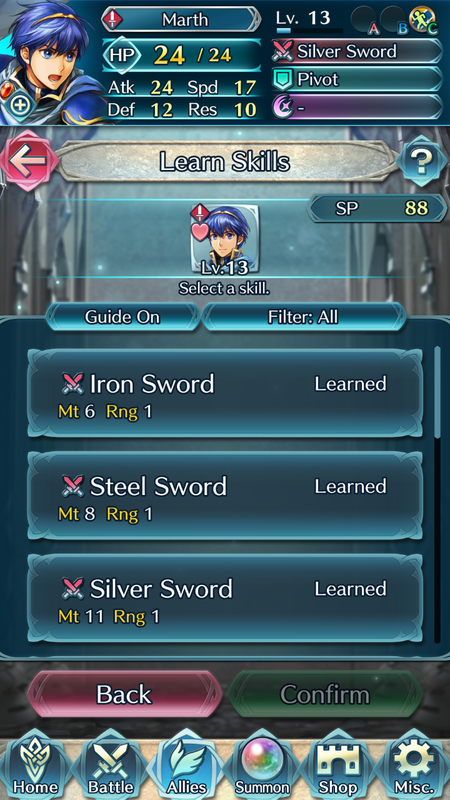 First, go to the Learn Skills screen in the Allies menu. 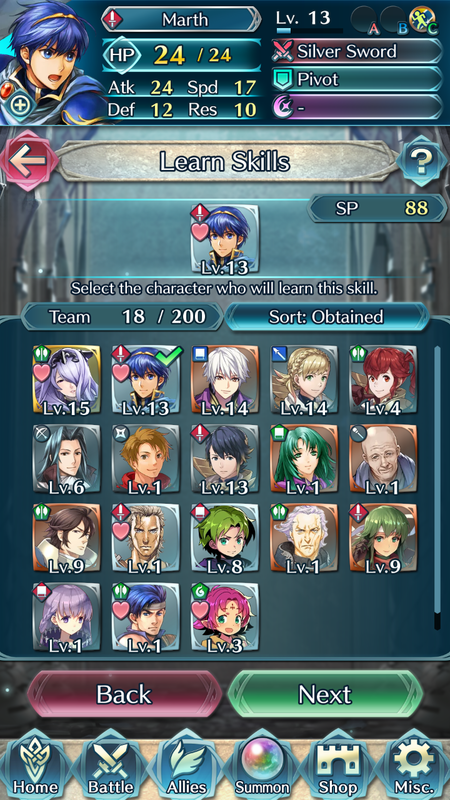 Select hero you wish to learn a skill, then tap next. 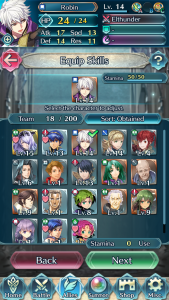 A list of that hero’s available skills will show on the next screen, both learned and unlearned. 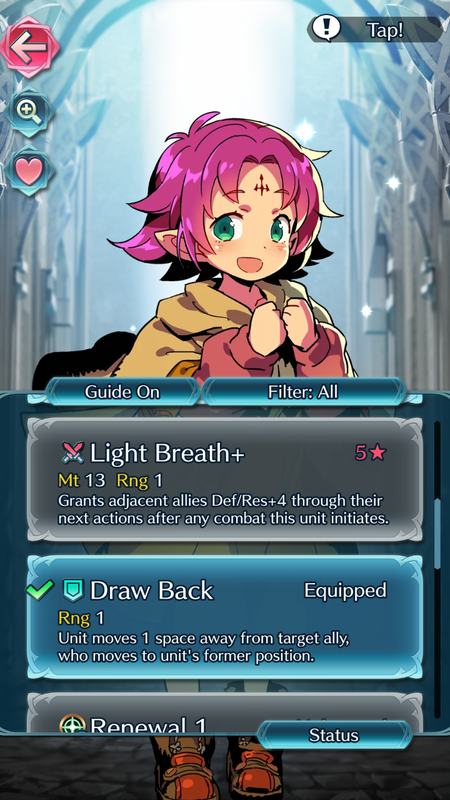 Skills are listed in the following order: Attack, Assist, Special, Passive. 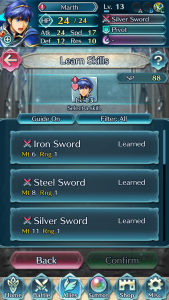 As you can see in the above screenshot, this Marth has already learned his top three Attack skills. 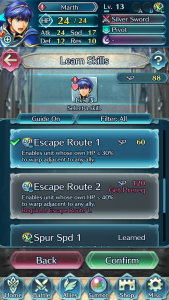 Unlearned skills will list their total SP cost, and will be listed in yellow text if the unit can learn that skill, or red text if they cannot. Some skills also have additional requirements before they can be learned, such as learning a prerequisite skill. 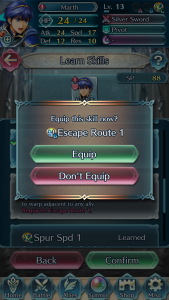 Tap the skill you wish to learn to select it, then press the confirm button. 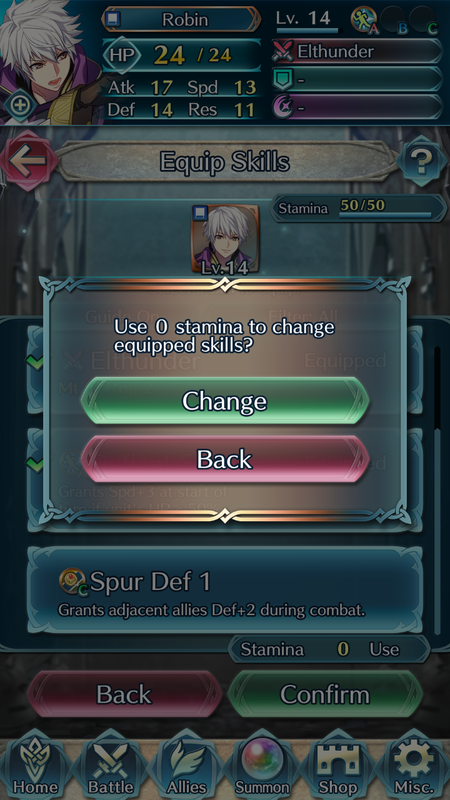 Further pop-ups will show you your SP costs subtracted from your hero’s current total, and also ask if you would like to learn the skill immediately. 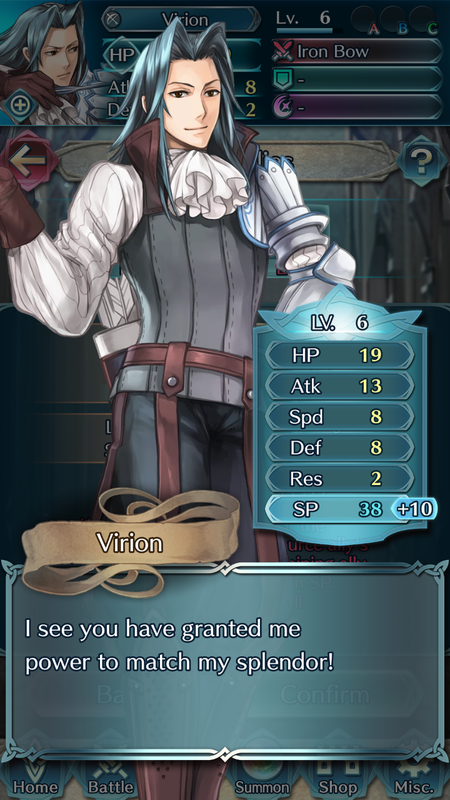 Some skills require your hero to be of a certain ★ rating before they can be learned. 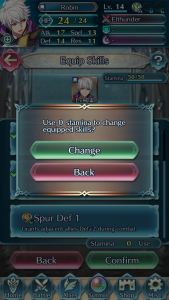 These skills will not show in the Learn Skills menu, but can be viewed under the Skill List of your hero’s profile screen. 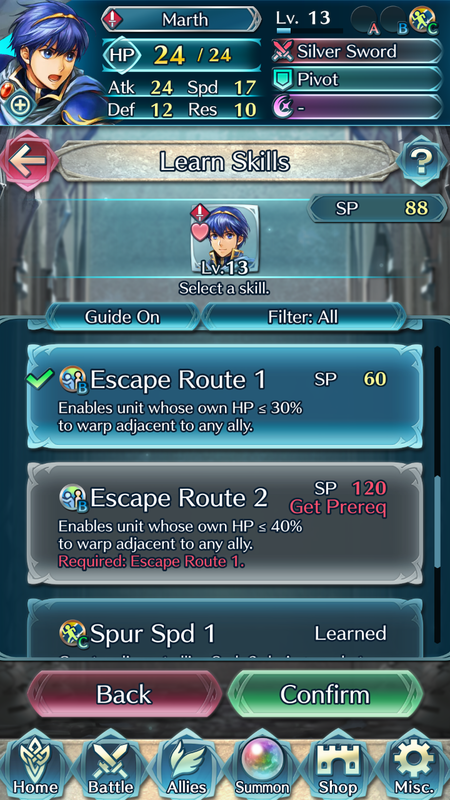 Under the Equip Skills screen in the Allies menu, you can switch around the skills your heroes currently have active. 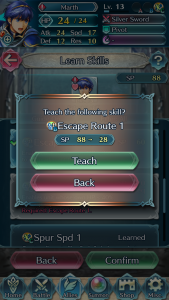 Tap your hero, press next, and scroll through your available skills. 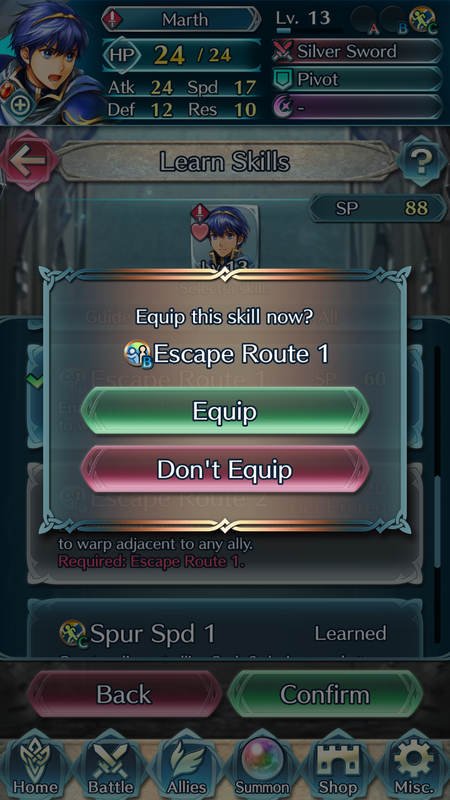 Tap an unequipped skill to equip it, or vice versa, then Confirm. 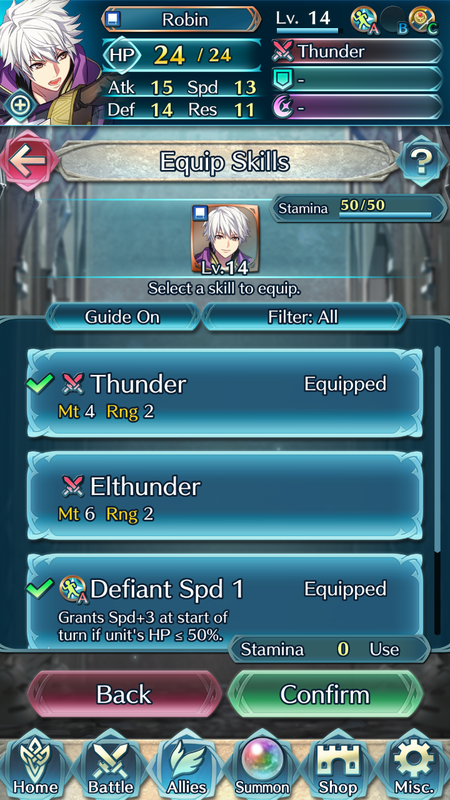 Equipping or un-equipping skills may cost Stamina.